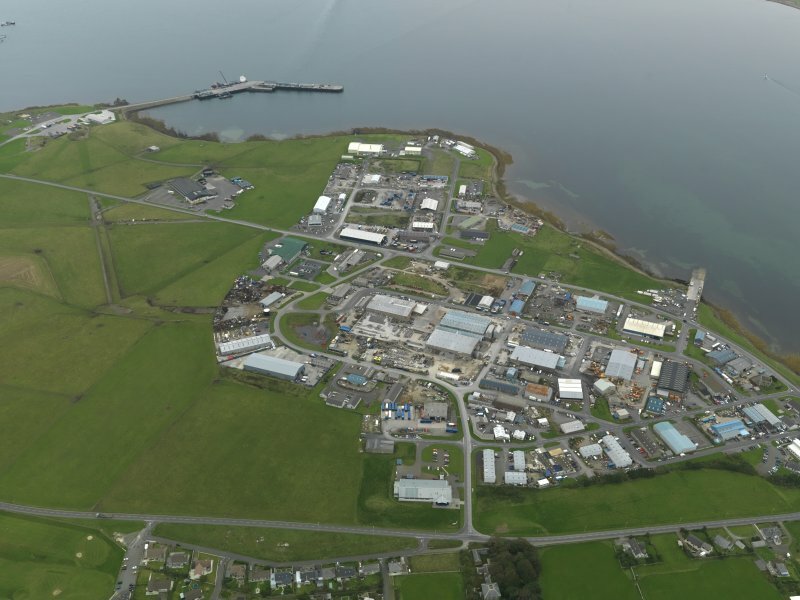 Oblique aerial view centred on the airfield and industrial estate, taken from the SW.
Oblique aerial view centred on the airfield and industrial estate, taken from the SSE. 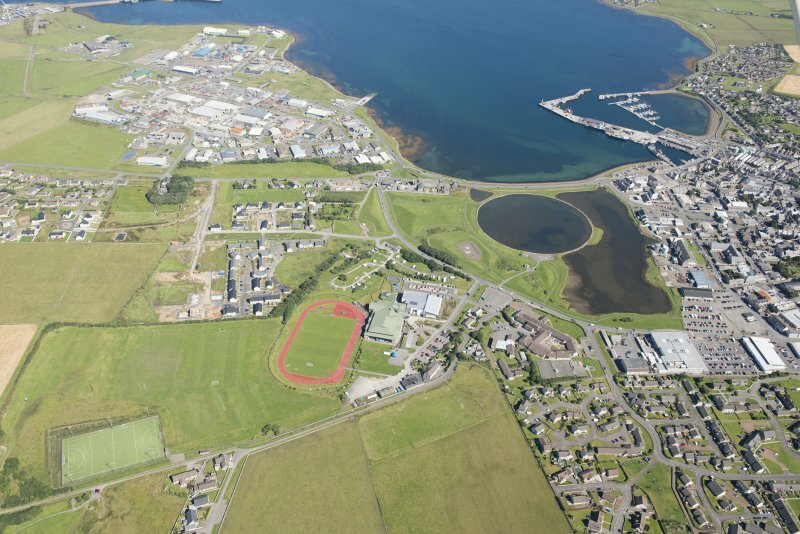 Oblique aerial view centred on the airfield and industrial estate, taken from the S.
Oblique aerial view from WNW, with Kirkwall in the background. 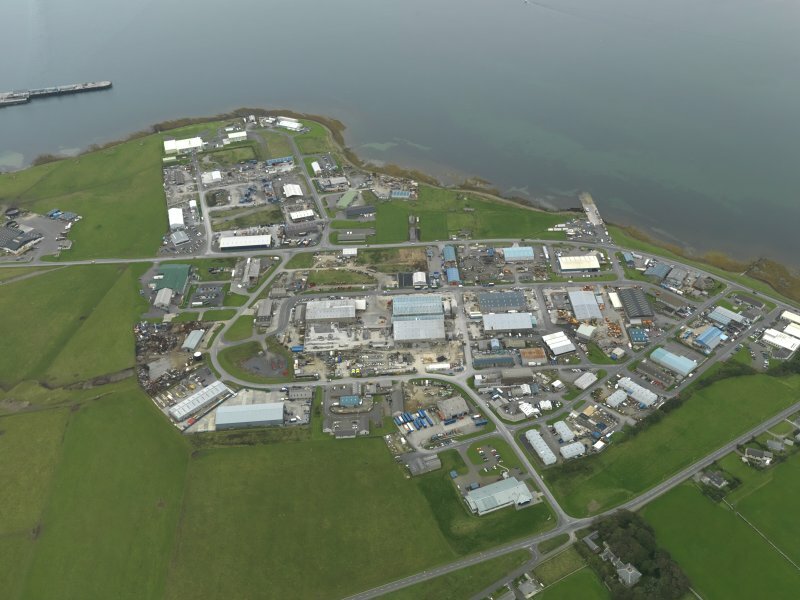 Oblique aerial view centred on the airfield and industrial estate, taken from the SSW. 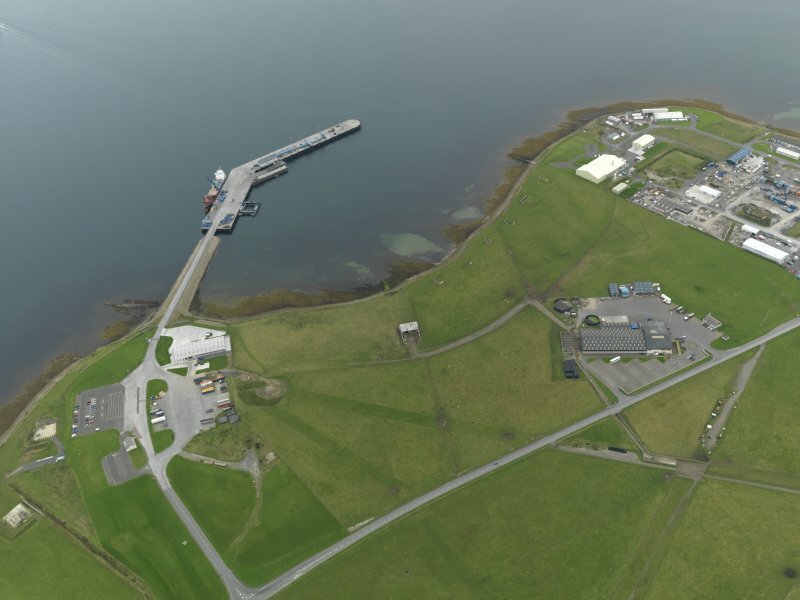 Oblique aerial view centred on part of the airfield with the ferry pier adjacent, taken from the NW. 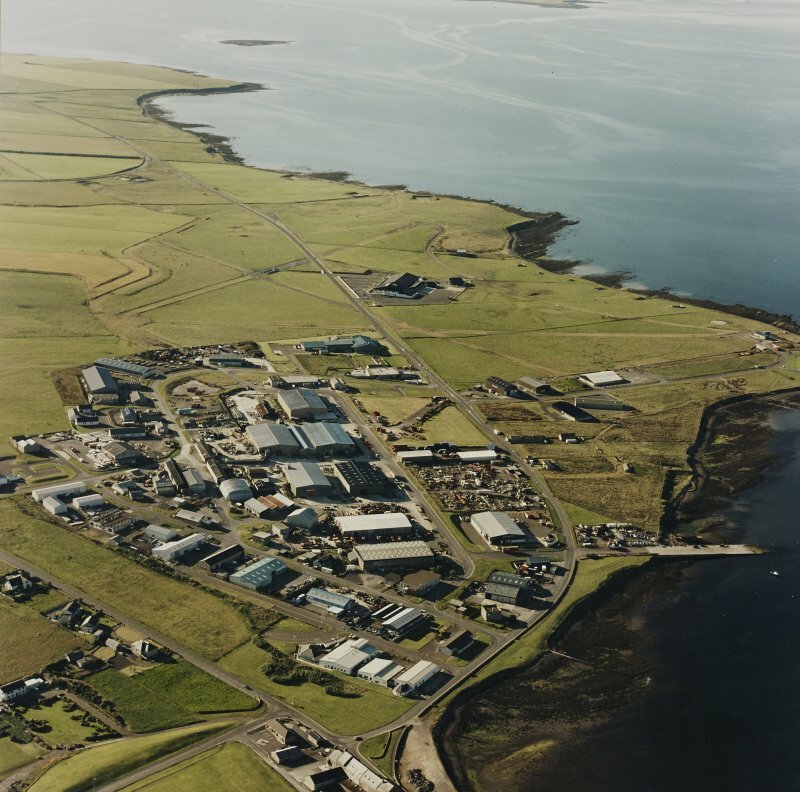 Scanned image of Luftwaffe vertical air photograph of Kirkwall, Hatston Airfield and surrounding area. For souterrains found (generally during construction works) in or near the airfield, see HY41SW 3, HY41SW 5, HY41SW 19, HY41SW 24. 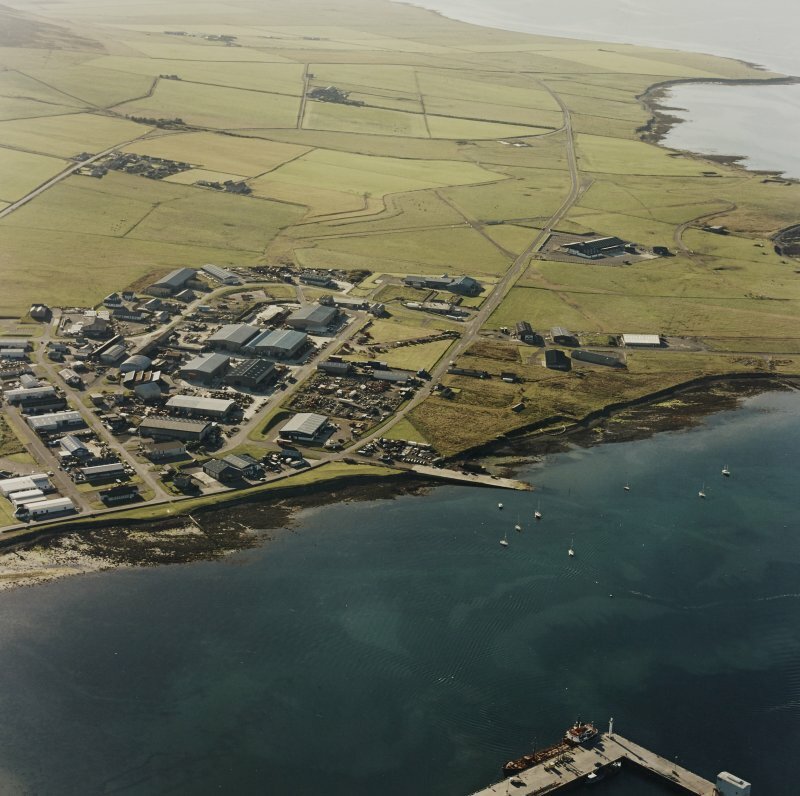 Hatston had not been a civilian airfield before the war and in early in 1939 when an Admiralty representative had enquired about the best site for an airfield in Orkney, Hatston was recommended. The airfield was the first built in Britain with hard runways. 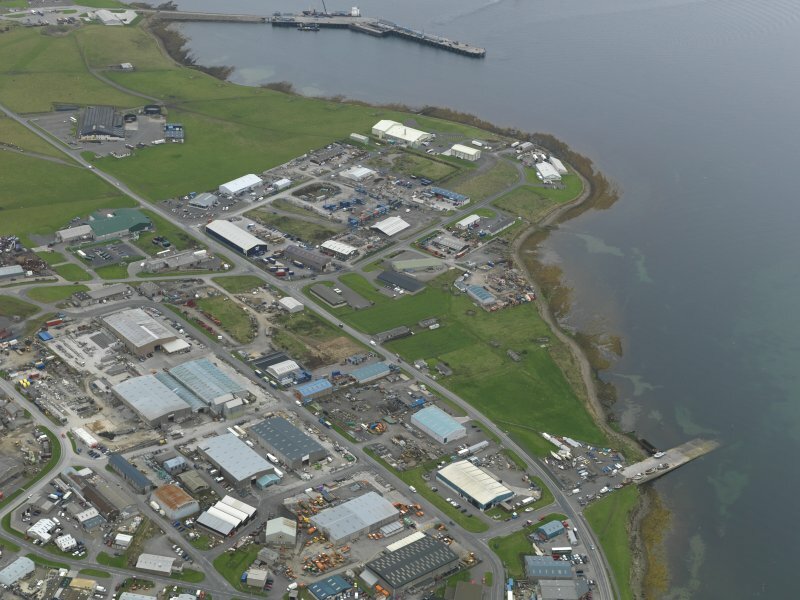 After the war, the station became Kirkwall's airport until 1948, when it proved too small for the aircraft being used by BEA. 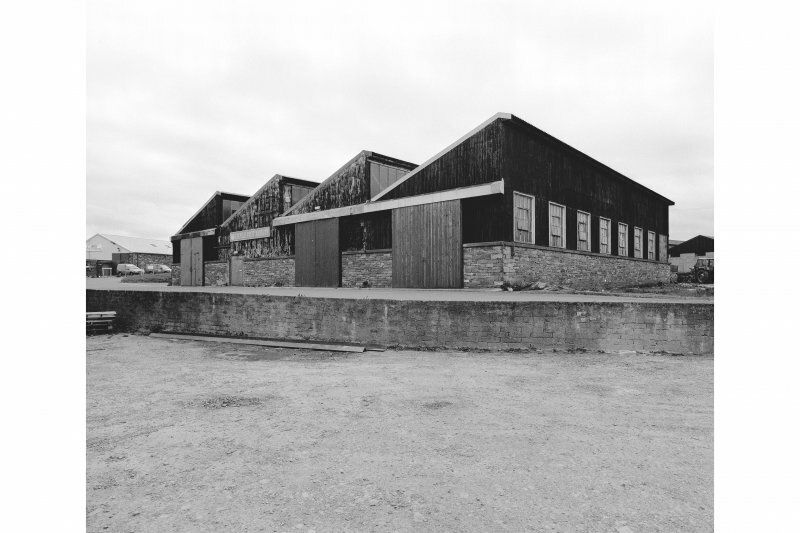 The hangars became part of an industrial estate use and some of the huts turned into council housing. The control tower has now been removed. 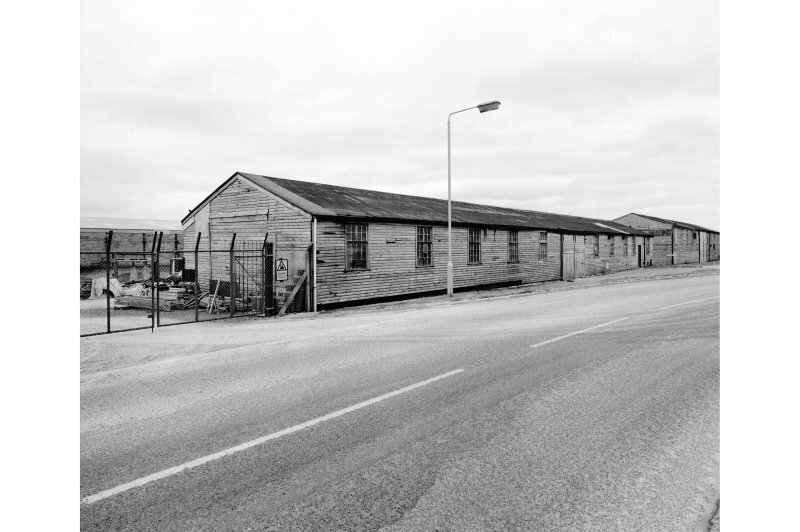 There has been further development at Hatston Airfield during 1995-6. A new road is being created from the NW end of the main runway and several of the dispersal bays have either been demolished or are being used for dumping earth from the building work. On the perimeter of the airfield, on the E side overlooking the shore around Crow Ness, are a series of air raid shelters. 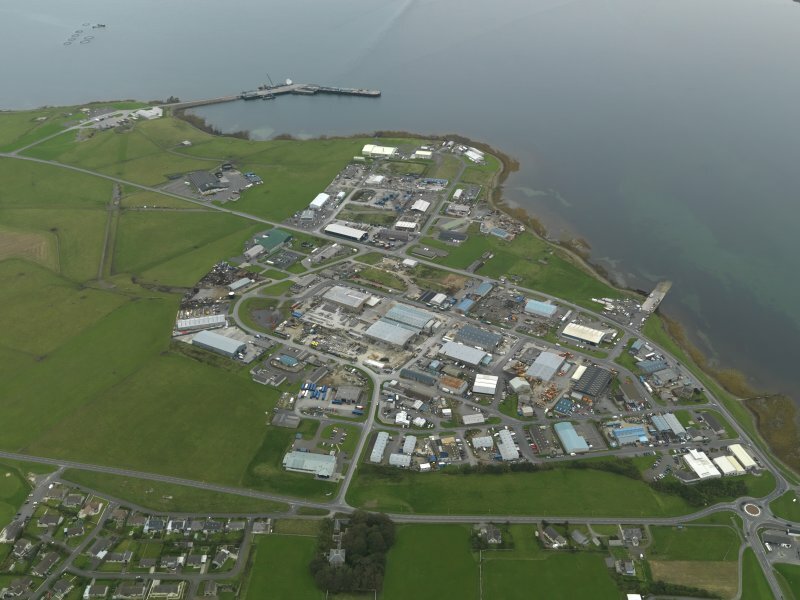 The airfield before redevelopment is visible on vertical air photographs (OS 63/44/28 and 63/48/049). 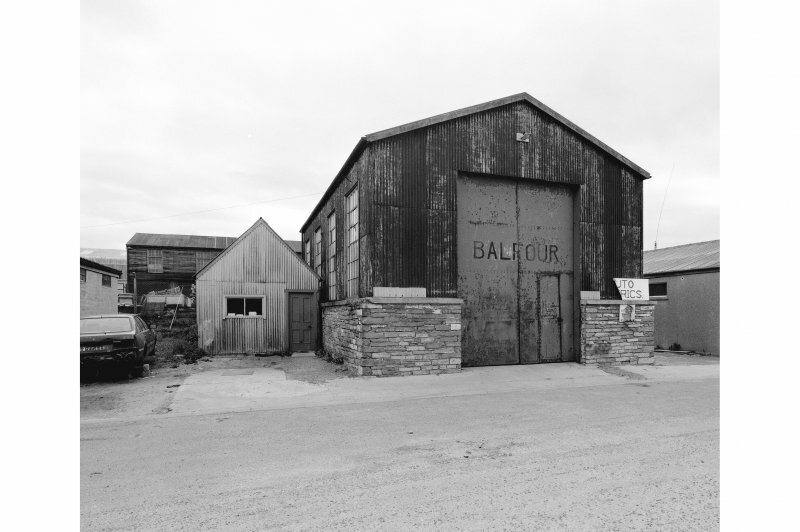 Visited by RCAHMS (DE) May 1996. 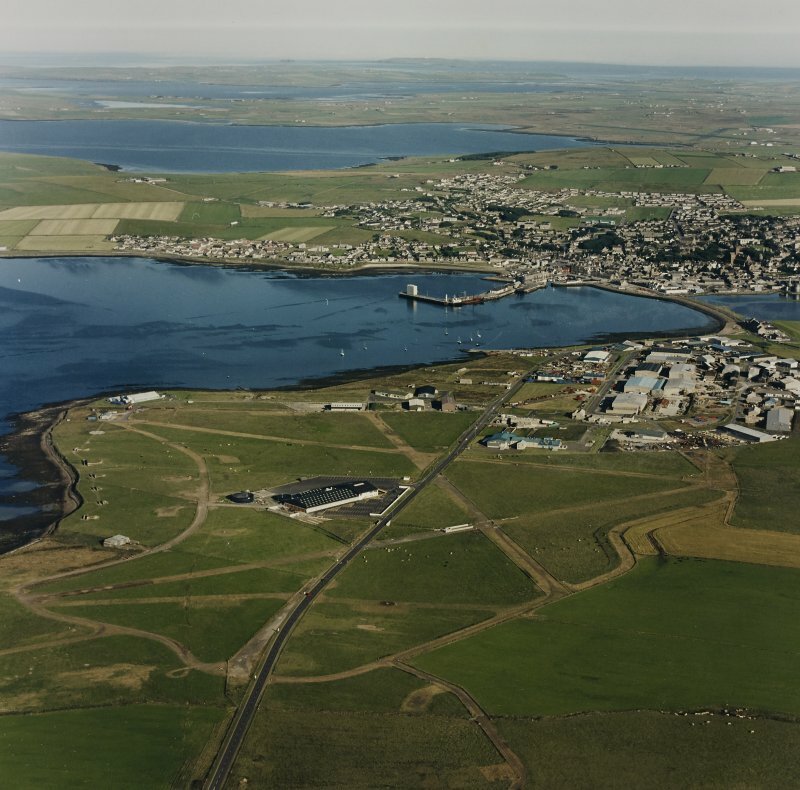 Hatston Airfield is situated on flat ground adjacent to the W side of Bay of Kirkwall and NW of the Peerie Sea, Kirkwall. 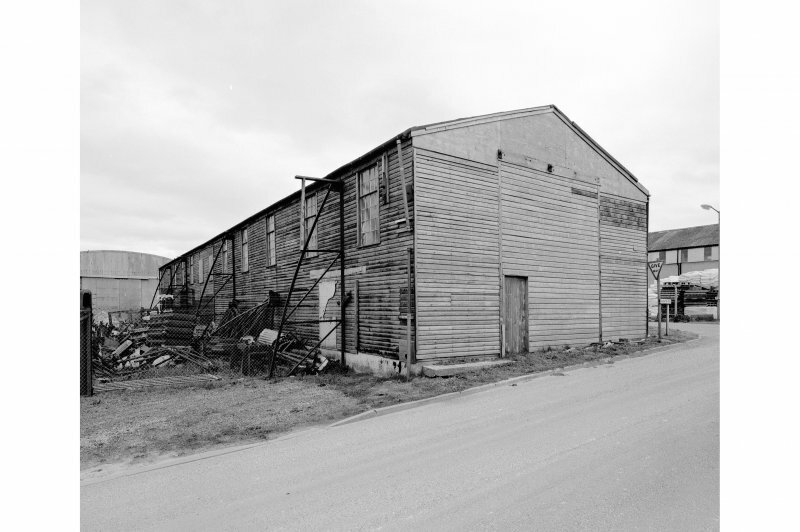 Many elements of this World War II airfield survive within the Hatston Industrial estate, including aircraft hangars, a machine shop, one Mainhill or 'S' type hangar and several wooden buildings (HY41SW 135.02). 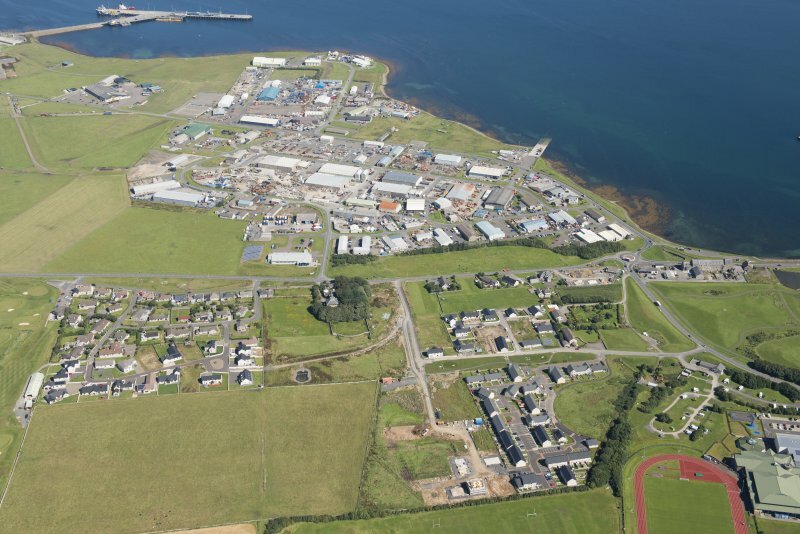 The main runway has now been rebuilt and utilised as an acces road through the industrial estate to rejoin the A 965 road at c.HY 1290 4310. Most of the taxiways are still discernable on the relatively level ground to the N and NW of the industrial estate. None of the dispersed aircraft hangars survive, though some of the earth banked blast banks and concrete bases can still be seen in the areas to the NW. 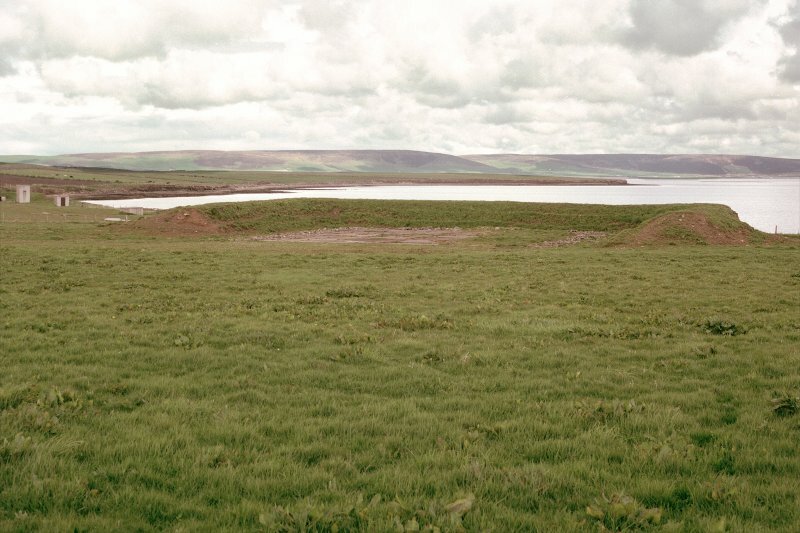 The remains of a series of bomb stores is visible immediately above the Mean High Water mark NW of Crow Ness (HY41SW 135.03) along with the remains of several dispersal bays. The airfield is notable for several linked dispersed areas including accommodation camps, anti-aircraft defences, pillboxes and at least two or three small batteries of unrotating projectile mounts (UP or Z battery), many of which have now been demolished or built over by modern houses and small housing estates. 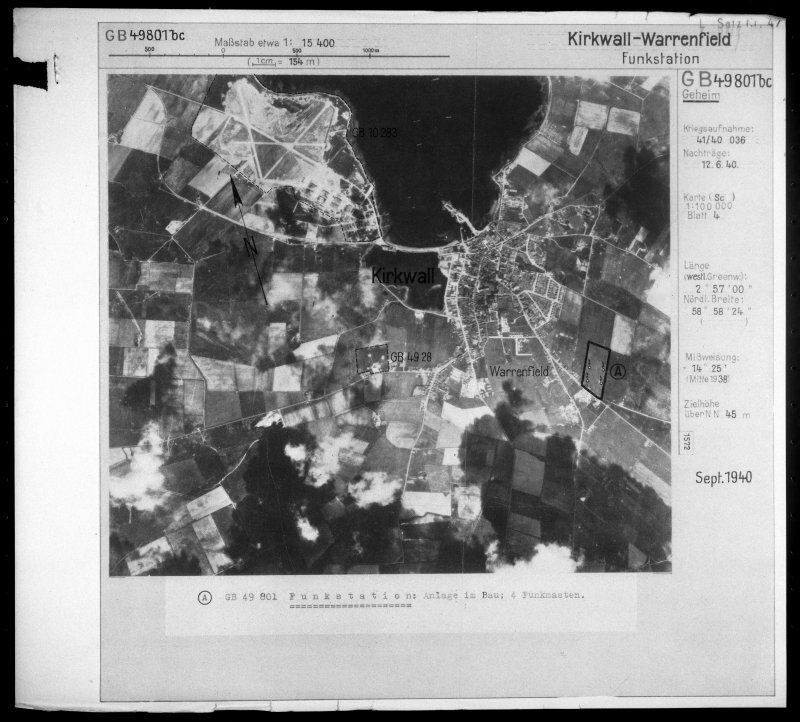 The airfield is visible on WW II RAF vertical air photographs (NLA 16, 615-618, flown 22 June 1941), which shows the site in an almost as built condition. However, a series of vertical photographs taken in 1946 (CPE/Scot/UK 188, 4174-4178, flown 10 October 1946) show the later wartime alterations and additions including the increased number of dispersed aircraft hangars to the N and NW of the main group (HY135.02), accommodation camps and other elements of the military base. 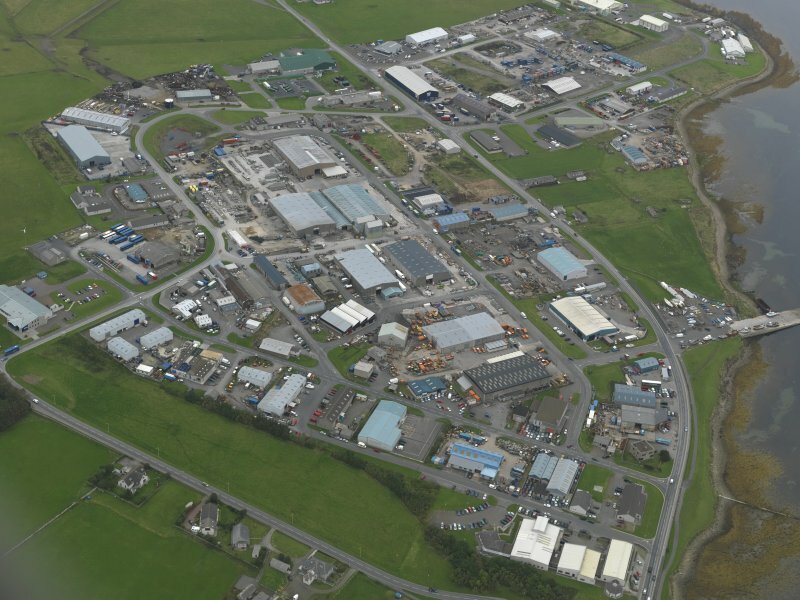 The industrial estate has been extended and now occupies much of the area on the N side of the former runway, which is now in use as a through road from Krikwall to a junction with the A985 road to Stromness (HY 43062 12955). 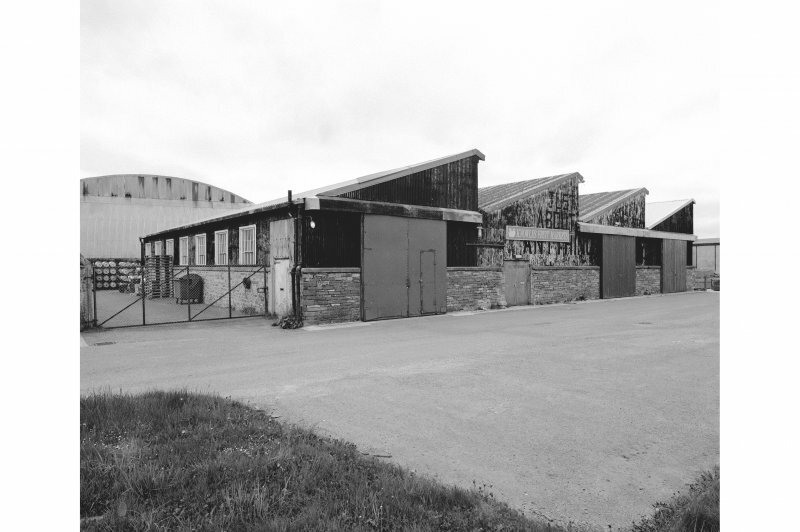 Some of the earth banked dispersal bays and aircraft hangar bays survive at the NW end and part of the bomb store could be seen beyond the new industrial sheds and units.